On the third floor in the Espace Culturel, will develop the whole shows based on a dialogue between generations and different point of view that tell, through three dresses, stories of different periods, people and different places in the frame of the Serenissima. 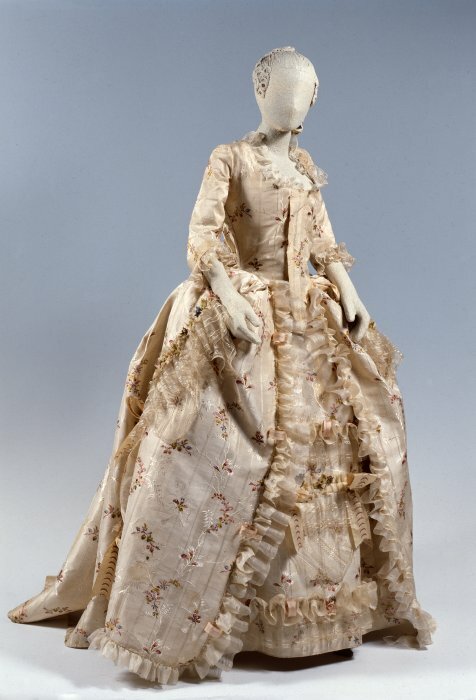 The three dresses are: the Andrienne (1770-1780), a late eighteenth-century female, from the collection of the Museo di Palazzo Mocenigo – Center for studies in the history of textiles and costumes; the second one is a work created by Chinese artist Modana Chen and this is a dress woven with paper; the third is a dress designed and made by the students of the Centro Sperimentale di Cinematografia in Rome, supervised by Italian costume designer Maurizio Millenotti (the latter nominated two times for Academy Award for best costume design). 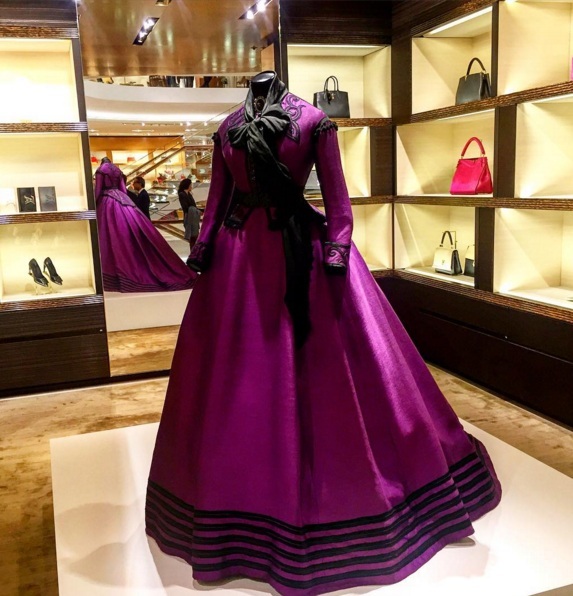 The dress "Andrienne" has entered into the annals of history of style thanks to a cut in back loose style, capable of enhancing the female form and considered an informal dress until the 70 's in the 700 's, until the Queen Marie Antoinette introduced him to the courts. 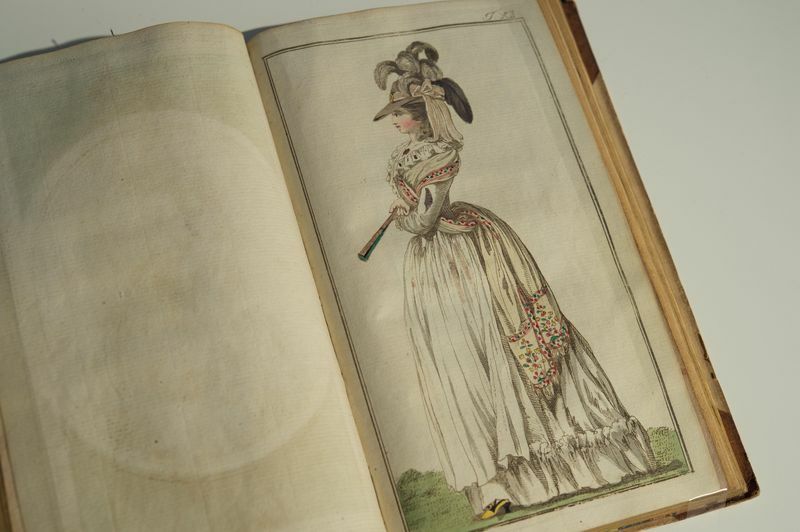 Students of the Centro Sperimentale di Cinematografia in Rome were inspired by it, and were asked to reinterpret the eighteenth-century dress according to their own vision and creativity. The Chinese artist Modana Chen interprets the dress sublimely and in an unique way using very long lines of paper taken from many different books, lent by friends or strangers, destroys the books so recomposing them under new shape, can tell a new story. 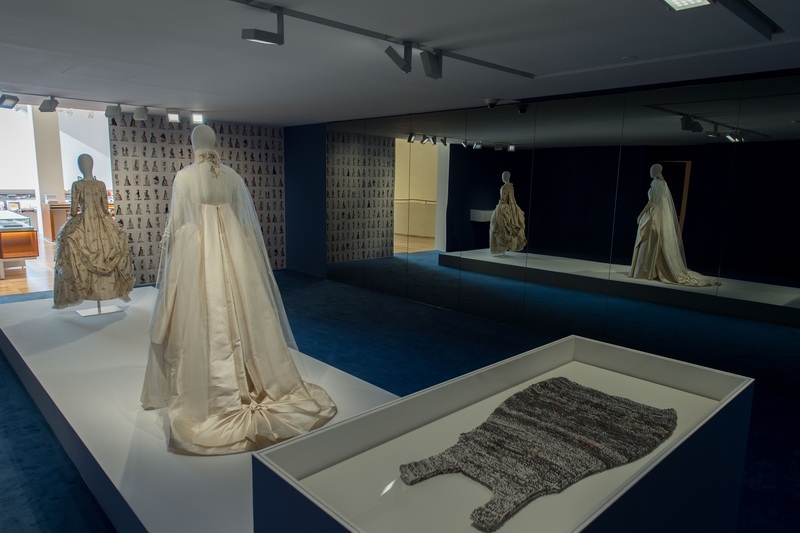 A Tale of Costumes is the sixth exhibition presented at the Espace Louis Vuitton Venice in collaboration with the Fondazione Musei Civici di Venezia (MUVE).